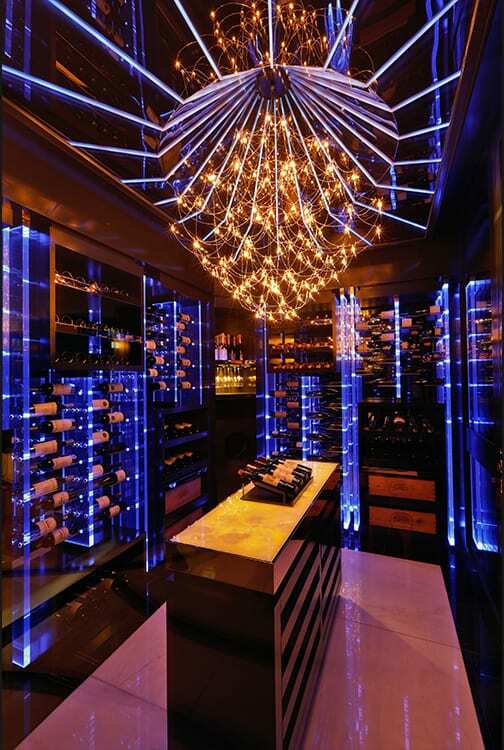 This cellar was built for a wealthy wine lover who owns a small but valuable wine collection. The cellar is located on the basement floor of the mansion and takes up only 11 m2. But the visual impact is so great that it keeps calling people back for another glance. 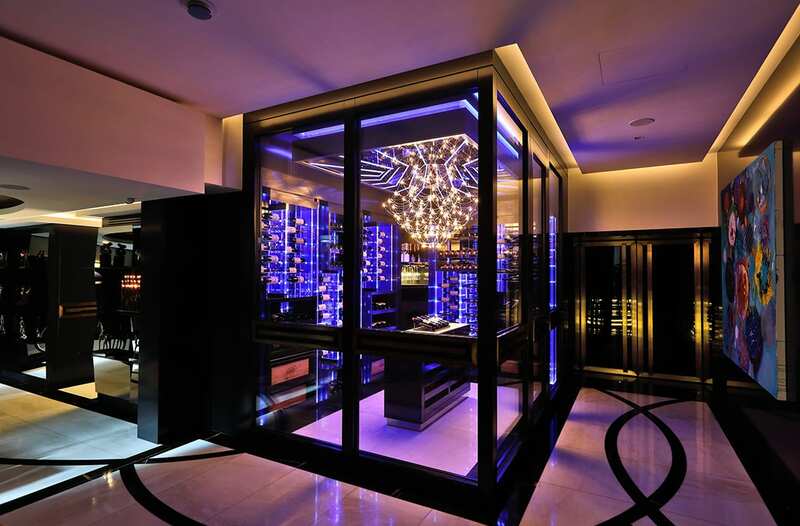 The wines are showcased mostly on acrylic displays which make the bottles directly accessible with labels showing in full and under controlled lighting. The colored lights on these displays provide a soft glow on each bottle while creating a strong architectural accent. 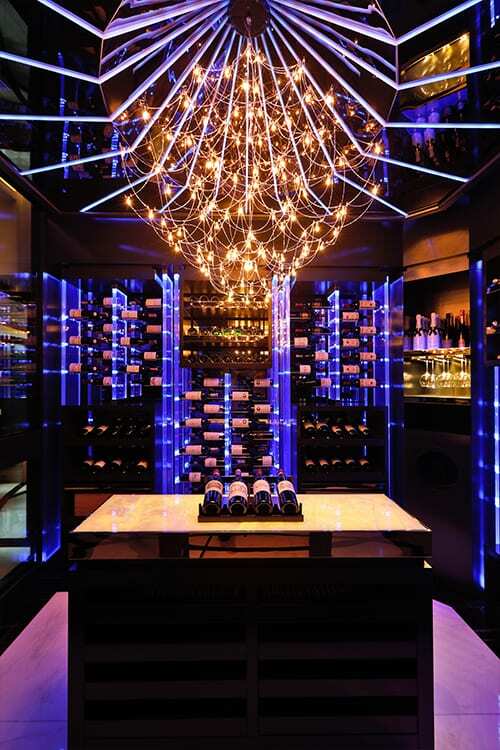 A similar accent is found on the ceiling, framing the delicate chandelier which is designed to highlight the four most valuable bottles on the back-lit onyx counter.